DUBAI, Aug 8, (Agencies): A worsening row between Saudi Arabia and Canada about human rights threatens to undermine Riyadh’s foreign investment drive, a campaign already unsettled by a series of assertive political and diplomatic initiatives by the top oil exporter. 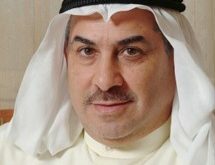 The kingdom froze new trade and investment with Canada and expelled its ambassador this week, angered by a call from Ottawa for the freeing of arrested rights activists. Riyadh’s action may do some damage to the miniscule trade between the two countries — Saudi Arabia’s main state wheat buying agency, for example, has told grains exporters it will no longer buy Canadian wheat and barley. 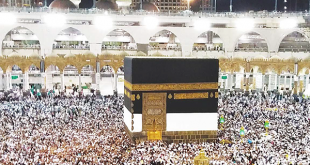 But the row raises question marks more broadly for the foreign investors Riyadh is counting on to become partners — to the tune of tens of billions of dollars — in the modernisation of the Arab world’s biggest economy. Crown Prince Mohammed bin Salman, widely known as MbS, has made a strong pitch for foreign capital since rising to power in 2015, spearheading an ambitious economic and privatisation plan that included the future listing of oil company, Saudi Aramco. At the same time, he has sought to project Saudi power in an increasingly unstable Gulf, fighting a costly war in neighbouring Yemen, working to isolate sometime ally Qatar, and deepening a contest for regional influence with arch rival Iran. Critics said the spat risks slowing a faltering foreign investment drive. Inflows have slowed mainly due to years of low oil prices, but regional turbulence doesn’t help, they say. “Saudi Arabia simply cannot afford to alienate any other sections of the global community in the midst of its unpopular military engagement in Yemen, its indirect confrontation with Iran, “ prominent Saudi commentator Jamal Khashoggi wrote in the Washington Post. 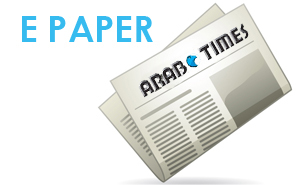 “Most importantly, Saudi Arabia’s economic transformation requires more friends than enemies. MbS, he wrote, “needs to use ways and means that investors are accustomed to. If business executives fear a backlash over any possible criticism regarding their investment, the new vision of Saudi Arabia would be in serious jeopardy.” The kingdom insists it is justified in punishing Ottawa for its public appeal over the activists. A statement decried “a blatant interference in the Kingdom’s domestic affairs, against basic international norms and all international protocols.” Foreign Minister Adel al-Jubeir on Wednesday ruled out mediation and said Riyadh might take more measures. But for some, the Canada row strengthens an impression of impulsive policy-making. Germany, for example, found itself in hot water last year after appearing to criticise Riyadh’s ties with Lebanon — The kingdom reacted by moving to exclude German companies from government contracts. “It risks suggesting that policymakers may be backsliding on some of the recent measures to open up the economy, and that policymaking can be quite arbitrary. This might hurt investment into the country,” said William Jackson, chief emerging markets economist at Capital Economics. New foreign direct investment in Saudi Arabia plunged to a 14-year low in 2017, UN figures show, posing a blow to MbS’s plans to raise infl ows of foreign capital sharply. In an effort to reverse that trend, Saudi Arabia last year hosted a Davosstyle gathering of global investors in Riyadh, which MbS wants to make a regional financial powerhouse. 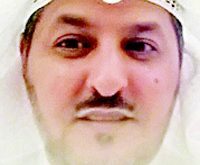 Within days, the euphoria of the event was dampened by the severity and secrecy of an anti-graft crackdown that saw the detention of high profile businessman including Prince Alwaleed bin Talal, the face of Saudi business to the outside world. 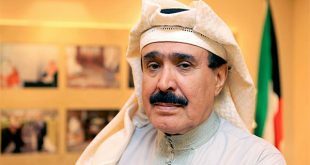 Prince Mohammed has defended last November’s crackdown, in which dozens of top business leaders and princes were detained, as necessary to combat “the cancer of corruption”. Most detainees have been freed, and the authorities say they have said they plan to seize more than $100 billion in assets. As a result, fund managers face a dilemma over Saudi Arabia, weighing attractive developments like privatization and its classification as an emerging market by index provider MSCI from mid-2019, against the kingdom’s riskier impulses. “Against the growing and encouraging will to invest, the incident with Canada brings to light some of the issues that many investors see as inseparable,” said Christopher McKee, the CEO of PRS Group, a New Yorkbased political risk consultancy. “The real issue isn’t so much about Canada as the way in which Saudi Arabia — in a world of mobile global capital — responds to international criticism.” In 2017, Saudi Arabia exported $2 billion worth of goods and services to Canada, less than one percent of Saudi Arabia’s total world exports of $220.07 billion, over the same period, while Canada’s exports were even lower. 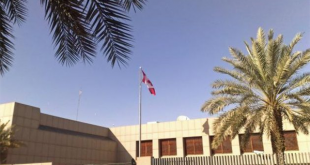 It is unclear how far the row will affect that activity, although the suspension of educational exchange programmes with Canada may affect thousands of Saudi students and cost Canadian universities millions of dollars in tuition fees. But for now, the mood is uncertain. 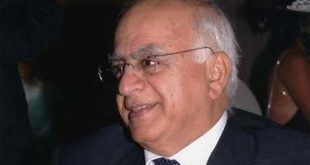 “For all businesses, we are entering dangerous territory that nobody really wants,” said Omar Allam, former Canadian diplomat and head of global consultancy Allam Advisory Group. Saudi Arabia said on Wedneday there is no room for mediation in the kingdom’s escalating diplomatic dispute with Canada, and that Ottawa knew what it needed to do to “fix its big mistake”. “There is nothing to mediate. A mistake has been made and a mistake should be corrected,” al-Jubeir told a news conference in Riyadh. The kingdom was still “considering additional measures” against Canada, said Jubeir, without elaborating. Responding to a question about the reason for the activists’ arrests, Jubeir said that charges against them would be made public once their cases reach the courts, repeating earlier allegations that they had been in touch with foreign entities. 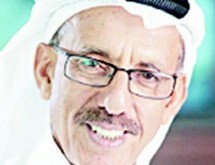 Canadian investments in Saudi Arabia were still ongoing and would not be affected by the dispute, he said. 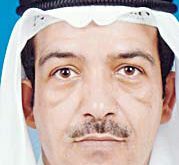 On Tuesday, Reuters reported that Canada plans to seek help from United Arab Emirates and Britain to defuse the row, citing sources familiar with the matter. 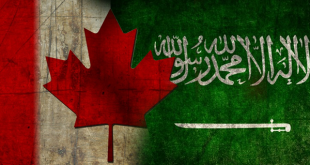 The Financial Times reported that the Saudi central bank and state pension funds had instructed their overseas asset managers to dispose of their Canadian equities, bonds and cash holdings “no matter the cost”, citing unnamed sources. The central bank did not immediately respond to a Reuters query for comment. 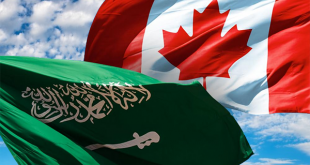 A source at a Saudi bank told Reuters the bank was contacted by the central bank on Wednesday afternoon asking for information about all their Canadian exposure — investments in Canada and foreign exchange positions. The bank had received no instructions to sell assets as they do not have any exposure there, the source said.